One of the largest settlements in the Vale, Stoughton is a prosperous farming community and caravan stopover located along the Dawn Way on the south bank of the Elsir River. 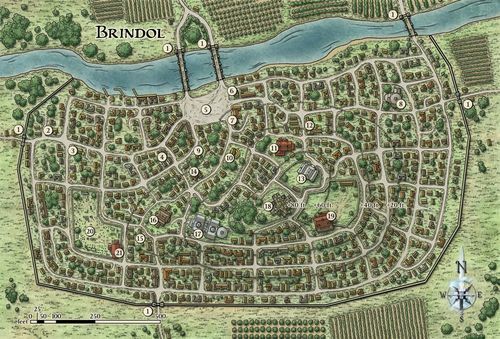 Orchards of apple and pear trees follow the river's winding shores, while broad grain fields and farmlands surround the town for miles in all directions. Population: 6,700; another 1,000 live within a five-mile radius of the town itself. The people of Stoughton are mostly humans, half-elves, and dwarves. 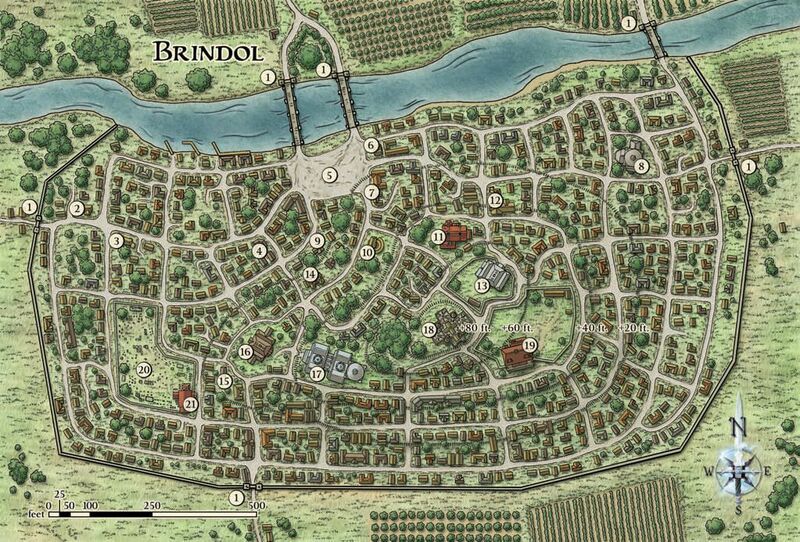 The town’s population swells by several hundred whenever some connected halfling clan known as “the river people” are in town. Government: The town has a council; two-thirds are hereditary landlords and the rest are guildmasters from the city’s important trade guilds. Lord Warden Harrik Orenna is the public face of the council and commander of the city militia. Defense: The city has 200 soldiers under arms at all times, with about one-quarter on duty at any given time. In times of crisis, the Lord Warden has access to another 200 well-equipped but poorly trained soldiers by calling up the militia. Inns: Chatrenn and Sons; the Red Door; Avandrian Hostel; the Silk and Spoon; Pantashi Inn. Taverns: Ilya’s Cardhouse; the Marooned Schooner; Cleftie’s; Stoughton Gentleman’s Club; the Blue Parrot; the Antler and Thistle. Major Guilds: Prospectors; Blacksmiths and Smelters; Teamsters and Farriers; Weavers; River Bargemen (halfling controlled). Supplies: Alchemy by Adronsius (currently closed); Gavriel Arms and Smithy; Staghunter Outfitters; Alpenglow Trading House. Temples: Temple of Erathis; Shrine of the Sun (Pelor); Moondust Temple (Sehanine); Shrine of Bahamut (no permanent clergy); Shrine of the Open Door (Avandra).